5 myths about palliative care…dispelled! Almost everywhere you turn, there is some reference to palliative care in today’s media. So it’s surprising how much confusion exists within health care in general about what, exactly, palliative care is. Given our aging population and data that demonstrates that palliative care increases longevity, reduces readmissions and improves outcomes, it seems counterintuitive that for many patients and families, getting a referral seems like hand-to-hand combat. Isn’t it time we all got on the same page? Let’s make a start by debunking some of the popular myths heard in health care circles about palliative care. 1. Palliative care equals hospice. Quite simply, it does not. Nor is palliative care only for terminal patients, a frequent corollary. Palliative care is appropriate for any patient with a serious or chronic illness and their family, from point of diagnosis onward, regardless of the patient’s age or prognosis. Palliative care improves the quality of life for patients and families facing serious or chronic illness — whatever the diagnosis or prognosis. It prevents and relieves suffering by addressing pain as well as the physical, emotional, psychosocial and spiritual problems associated with serious and chronic conditions. Hospice is part of the palliative care continuum. It shares the same interdisciplinary, holistic focus and philosophy. What is different is that hospice patients must be within six months of death if the disease follows its normal progression, and must give up curative treatment. In some settings, a narrower definition of palliative care is used. This occurs for many reasons. But in all settings, palliative care teams work with patients who are not within the six-month window. 2. Palliative care is only in hospitals and hospice is at home. This is changing across the nation. There are a number of initiatives focused on providing both outpatient and community-based palliative care that move outwards from hospital-based systems or upstream from hospices striving to create a continuum. In every community, palliative care programs and hospices each have a role, and ideally work together to keep the focus on addressing the needs of the patient and family, and ensuring the best care possible, regardless of setting. 3. A referral to palliative care means giving up active treatment or hope. This myth needs to be debunked by nurses, physicians and health care providers everywhere. Research consistently indicates that palliative care, when it accompanies curative treatment, enhances its effectiveness. Patients live longer and, as a bonus, are demonstrably more satisfied with the care that they receive. 4. Palliative care is only about pain and physical symptoms. Once again, this is not the case. If there is “magic” in palliative care, it is made possible by the use of an interdisciplinary team that focuses on both the patient and their family, and not just physical pain but on emotional, psychosocial and spiritual “pains” as well. One of my favorite examples is of a physician who at wits’ end called for a consult on a woman with intractable pain from advanced breast cancer. The team talked to the woman and learned that she was concerned about what would happen to her children after she died. Once this was negotiated with the family, her pain was readily managed. Simply by addressing the patient’s emotional needs, along with her physical needs, the need for pain medication was reduced and her quality of life improved. 5. 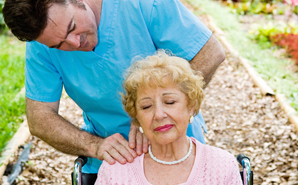 Asking for a palliative care consult means giving up caring for the patient. With palliative care workforce shortages, increasing demand and limited reimbursement for their services, palliative care teams must by necessity focus on “consulting.” Their goal is NOT to take a patient away from their primary provider or even their specialist, but to ADVISE AND ASSIST providers to deliver the best care possible. On-going responsibility for care, and the reimbursements associated with on-going care, rightfully remain with the referring provider … unless or until that provider indicates the desire for it to be otherwise. The concept of attending to a patient’s quality of life is not new. In fact, before the last century, this was largely what medicine was defined as for those with a serious or chronic illness. Clearly, every nurse should always be seeking to ensure optimal quality of life for their patients. The “but” is because sometimes this statement has been made by someone who sees no need to refer to palliative care. This diminishes the role of what is decidedly a specialty area. If we are going to care for the growing number of Americans who have these serious illnesses, then every nurse will need to know about palliative care at a generalist level. Every nurse will need to know how to have advance care planning discussions, and how to discuss palliative care with patients. At its very best, palliative care challenges every nurse to focus on what the patient and their family feels are the optimal goals of care, and then bring the best skills and resources available to achieve those goals. In that, it is more than “just good medical care;” it is the best medical care. Helen McNeal is the Executive Director of the California State University Institute for Palliative Care at CSUSM. Prior to joining CSUSM, Helen served as Vice President of San Diego Hospice and The Institute for Palliative Medicine (SDHIPM) where she was responsible for all of the operations of The Institute for Palliative Medicine (IPM). McNeal is also the co-author of Module IV: Palliative Care of A Comprehensive Guide to the Care of Persons Living with HIV/AIDS. She has consulted the U.S. and Canadian governments on hospice and palliative care, and led a national project to look at end of life care in the American prison system.